A family-owned company since its auspicious conception in the 1920s, APT had its beginnings when Bill McGeary built a bus body on a tray truck after a tram strike affected the city of Melbourne. Through Bill's son ,Geoff, APT pioneered Australia's dynamic travel industry in the 1960s and 70s via a diverse range of modes. Such innovation continues to thrive within the APT Group today, now a multi-brand business with an extensive global portfolio of touring and cruising products still owned and controlled by the McGeary family. Now, with a third generation of the family contributing to the APT Group's success, the benefits of the company's family-style culture are increasingly apparent. While vigorously pursuing a global vision, the unwavering focus is on delivering a life-enriching and memorable holiday experience for each and every individual. 2007 marked APT's 80th anniversary. Such longevity in a competitive environment, coupled with a proven ability to meet the shifting expectations of the modern holidaymaker, is testament to the pioneering spirit upon which the company was founded, and upon which it continues to operate and flourish today. The APT Group recently embarked on a program of international growth, with the objective of positioning the company as a truly global tour and cruise operator and one of the world's leading travel companies. In doing so, the company has embraced an efficient, goal-oriented business that nurtures and develops a culture of exceptional performance.We will continue to expand on our present commitment to touring in regions that include Europe, Scandinavia, the Americas and Asia. As the number one tour operator in Australia and New Zealand, the company is committed to the continuation of its role as a fully integrated travel business by owning and operating its touring and cruising operations. On an exclusive departure with APT aboard the American Star, you’ll travel with a maximum of just 100 APT guests, guaranteeing you a truly personalised and intimate cruising experience. APT is excited to welcome you aboard the boutique small ship, the American Star, for what is sure to be a picturesque New England Islands cruising experience. 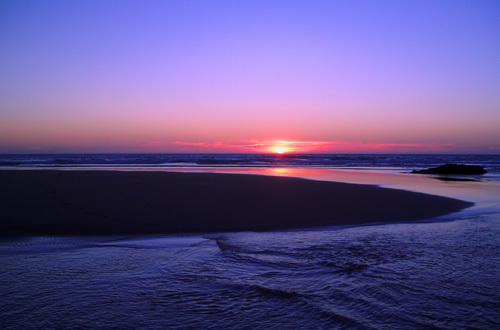 Fully chartered by APT, you’ll discover the beauty of this stunning region in the company of like-minded travellers. Featuring the very best amenities, from the largest staterooms in their class, to the comfortable public areas and even a putting green on deck, the American Star will take you in true style on this idyllic, tranquil and immersive journey. The Delfin II is one of the finest ships in the Amazon. Carrying just 28 guests, it represents the pinnacle of boutique luxury cruising as you explore the wonders of the Pacaya-Samiria National Reserve. Exclusively chartered for APT guests, your three-night Amazon cruise is accompanied by a dedicated APT Tour Director, so you can relax in the knowledge that you’re being looked after by the best. We also offer a longer four-night cruise, escorted by friendly and experienced local guides. With an intimate setting that doesn’t compromise on elegance, L’Austral offers a unique cruising experience that evokes a feeling of warmth and effortless style. L’Austral will carry fewer passengers than capacity, to guarantee your ultimate comfort. The attention given to the combination of luxury and well being onboard will enhance your APT journey even further. With an intimate setting that doesn’t compromise on elegance, Le Boréal offers a luxury cruising experience that evokes a feeling of warmth and effortless style. With 139 friendly and attentive crew aboard this 200-passenger ship, you can expect to be looked after by the best. Fully equipped for exploring glacial waters, it features innovative eco-friendly technology. With an advanced stabilising system and superior speed, it offers a smooth, fast, safe journey. With a distinctive silhouette that complements its refined interiors, Le Lyrial is the finest way to travel. Smooth and quiet, this is a cruising experience that is guaranteed to enhance the Aegean and Adriatic Seas' stunning scenery. Due to be launched in April 2015, this stunning yacht represents one of the finest ways in which to discover the unbridled beauty of the Aegean and the Adriatic. Departing in June 2016, these luxurious cruises aboard Le Lyrial are exclusive APT charters, allowing us to tailor a range of excursions, activities and presentations to suit your interests. 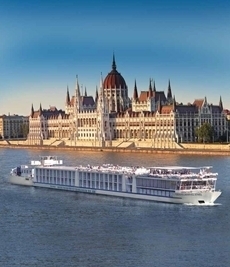 Aria River Ships are among the finest river ships you’ll find not just in Europe, but anywhere in the world. The ships' all-weather Panoramic Balcony Suites have proved overwhelmingly popular. Their boutique size, low number of guests, and high number of staff ensures our Aria River Ships boast a genuinely warm onboard atmosphere. Each with their own unique charm, all ships enthral guests with their combination of luxurious amenities and innovative design. expectations of the modern traveller. Today, this luxury ship offers the highest level of accommodation and finest public areas imaginable. The MS AmaVida travels along Portugal's Douro River, one of Europe's most pure and unspoiled rivers. Every stateroom aboard the MS AmaVida presents a range of contemporary appointments including complimentary wireless internet, a fully-equipped ensuite bathroom, climate control, and a 42-inch flat-screen television with internet access. Measuring 215 square feet, Outside Balcony Staterooms offer plenty of space to unwind. And at 323 square feet, the two Suites represent the ultimate in indulgence. From spacious suites to finely-appointed social spaces, extraordinary dining choices to indulgent amenities and more, to cruise aboard the MS Anastasia is to experience the majesty of Russia’s landscapes in the ultimate comfort and style. Between your time exploring Russia’s waterways, you’ll find plenty to keep you entertained on board. Atop the Sun Deck, fresh air and superb views await. The elegant Hermitage Lounge, with its fully stocked bar, is a superb area in which to relax and take in the approaching sights. After a thrilling day spent exploring the wonders of Russia, why not treat yourself at the Anastasia Spa. Offering a spacious sauna, a gym with a range of cardiovascular equipment, two treatment rooms plus a massage, hair and beauty salon, you can indulge completely. Enjoy the luxurious freedom of an all-inclusive lifestyle aboard the MS Caledonian Sky. Featuring just 55 suites, the MS Caledonian Sky is perfectly suited to intimate small group adventures, while personalised attention is assured thanks to our crew of seventy-five. When not off exploring nature’s onshore marvels or cruising on a Zodiac safari, APT guests are treated to an onboard lifestyle that is as relaxing as it is stimulating. It’s easy to get to know your fellow guests in a comfortable, informal atmosphere. Aboard the MS Douro Serenity, you’ll cruise beneath a sapphire sky down the river’s tranquil waterways, watching as lush hills and plunging valleys dripping with grapevines appear from every side. The MS Hebridean Sky offers superior comfort and spectacular view and allows you to be right in the heart of the action. Unlike larger vessels, there’s no need to wait around for your turn on the Zodiacs. This premium small ship promises a superlative experience of the British Isles. Onboard, lavish and spacious suites are complemented by world class service, exquisitely decorated suites and refined public areas. Cruising aboard the MS Island Sky is one of the finest small ship experiences in the world. Though the MS Island Sky has a maximum passenger capacity of only 114, a vessel of her size is capable of carrying many more. As a result you'll benefit from unusually large suites and luxuriously appointed public areas. Cruise in superior comfort aboard the 196-passenger MS Valentina. Allowing you to journey between the fascinating cities of Moscow and St Petersburg with ease, this elegant vessel offers stylish interiors as well as comfortable staterooms and suites. Beautifully crafted for the Croatian coast, the MV Queen Eleganza is one of the finest vessels of her kind on the Croatian coast. Newly renovated and accommodating just 88 guests, the MV Tere Moana offers relaxing staterooms; two restaurants, L’Etoile and La Veranda; and a luxurious spa, to name but a few features. Onboard, you are assured of the highest standard of personal service, with one crew member for every 1.5 guests. Accommodating just 72 guests, the ship features all modern comforts for your cruising enjoyment. Soak in the spa, lounge on the Sun Deck or enjoy a drink in one of the two cocktail bars, relax in the onboard library or check your email at the internet station. The Xplorer tenders and inflatable excursion Zodiacs take you even closer to the local highlights, including a ride through the Horizontal Falls. The elegant staterooms feature twin through to junior king-size double bedding, air conditioning, large windows with ocean views and private ensuites. Meander up-river on the Queen of the Mississippi – exclusive to APT guests! There’s simply no better position from which to experience the Mississippi’s natural majesty firsthand. This vast working river still supports various industries and plays host to an array of intoxicating scenery and a range of wildlife. On APT’s exclusive departures, you’ll travel with a maximum of just 150 APT guests, guaranteeing you a truly personalised and intimate river cruising experience. Harking back to the grandeur of the Steamboat era, the boutique Queen of the Mississippi and the American Eagle are the most modern paddlewheelers on this iconic waterway. Combining a large amount of space per guest, the brand new RV AmaDara allow you to move around freely and make the most of the many facilities on board. Their intimate size, meanwhile, ensures that you’ll get to know your fellow guests and enjoy a truly personalised experience. Sail beside stunning scenery aboard the luxurious RV La Marguerite. Visit remote villages that line the banks of the Mekong River. Your luxurious ship offers superior service and accommodation, combining colonial era with a contemporary edge. Step aboard the RV Princess Panhwar and discover Burma in premium style and comfort. This boutique vessel is custom-built with Travelmarvel’s guests in mind, boasting sophisticated design and outstanding facilities – while ensuring a remarkable and unique Irrawaddy River cruise experience. The RV Princess Panhwar has 36 staterooms and suites, each featuring a French Balcony or an Outside Balcony. Designed with your absolute convenience and comfort in mind, every room is air-conditioned and offers state-of-the-art appointments, while being among the largest on the Irrawaddy River. Wake up to the ever-changing river scenery each morning as you relax in your private oasis. 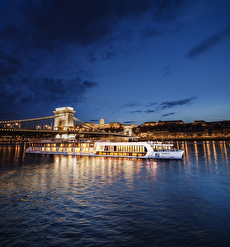 Brand-new boutique river ship, the RV Samatha, takes luxury river cruising to a new level. Join us aboard the finest vessel to grace the picturesque waters of the Irrawaddy River. The RV Samatha has been specifically designed to provide adventurous travellers with a truly authentic and yet supremely luxurious experience. With a capacity of close to 100 guests, this amazing ice-strengthened vessel allows for unrivalled flexibility in tailoring your Antarctic expedition cruise experience so it's as rewarding as possible – each and every day. The perfect vessel for Antarctic exploration, the Sea Explorer is outfitted with the latest navigational and communications technology, as well as retractable fin stabilisers for smooth sailing. Its ice-strengthened hull has been built specifically for Antarctic waters, while its boutique size means it can take you to places that are inaccessible to most. The Victoria Anna, built in 2006 witha renovation in 2010, sets the standard for Yangtze river cruising. With its three story atrium,the lobby welcomes guests with its elegant Asian design. Sun deck, two lounges, three bars, a gym, library, gift shops, and two lifta complementing two restaurants. All cabins include floor-to-ceiling windows and a private balcony. The Victoria Anna accommodates 308 passengers. Concerto Class river ships - never ones to rest on their laurels, 2011 will see APT's two Concerto Class ships on the water. These revolutionary vessels present the popular attributes of Aria Class ships while introducing some new features certain to appeal to many. Slightly larger, these ships are set to change the way the industry looks at river ship design, thanks in part to their exclusive range of Twin Balcony Suites.